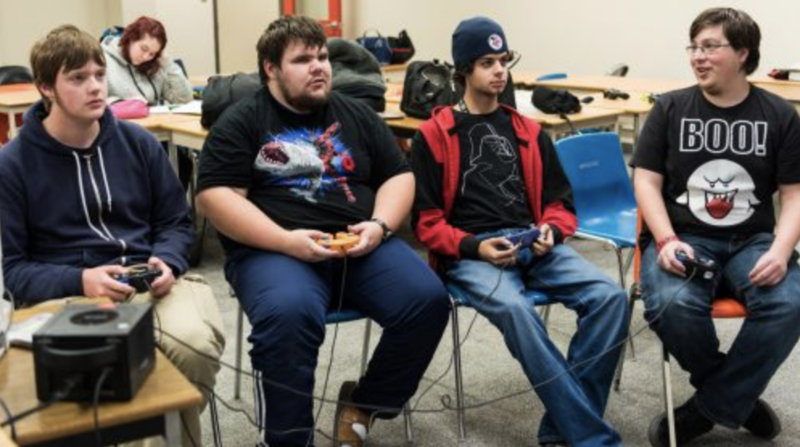 Members of the gaming club at Loyalist College. Photo credit: Loyalist College. BELLEVILLE – Gaming addiction will be an officiated disease identified by the World Health Organization (WHO) in mid-2018, giving hope to those wanting help from the medical profession. Defined in the 11th revision of the International Classification of Diseases as a ‘gaming disorder’, the WHO intends to spark additional attention amongst health professionals, prompting them to further educate themselves on the risks, prevention, and treatment. For local gamers, it is about time. Entertainment Software Association’s statement made to Gamasutra in response to the WHO adding ‘gaming disorder’ to its list of diseases. Photo credit: Gamasutra. Graham responded to the Entertainment Software Association, saying he doesn’t believe the acknowledgment of this issue undermines other mental health disorders. “It’s a really big problem for some gamers, and it deserves to be taken seriously,” he said. However, he also hopes that this new classification doesn’t fuel opposition towards the gaming industry and players. The WHO also noted that only a small percentage of gamers actually become addicted. A study done by Iowa State University published in 2009 claimed that out of a pool of 1,178 American youths, psychologists found that one in 10 of the gamers could be classified as addicted, or “pathological players”. The study also found that pathological players played for twice as long per week as non-pathological players, and were more likely to experience attention difficulties in school, poorer grades, additional health problems, and were more likely to have a video game system in their bedroom. Over the course of her entire career as a counsellor at Loyalist College Rebecca Lazar said she’s engaged with a handful of students expressing difficulty managing their lives because of a video game or computer game addiction. “I don’t know that the problem is getting any worse than it was maybe five or six years ago, but is it an issue for students? I think it absolutely can be,” Lazar said. Counselling services at the college treat pathological gaming the same as other forms of addiction, offering their services to students as well as providing them with the option to connect with community addictions counselling for further assistance. Lazar said that students should consider connecting with a counsellor if they find themselves missing classes to continue playing, staying up until all hours of the night, beginning to withdraw socially from friends and family members, or experiencing a decrease in mood. Some students may withdraw completely and stop attending classes altogether.